Gifts I’m Giving This Year! Happy Tuesday, everyone! So….who knows someone that you can never buy for? Someone who seems to have, well, everything? 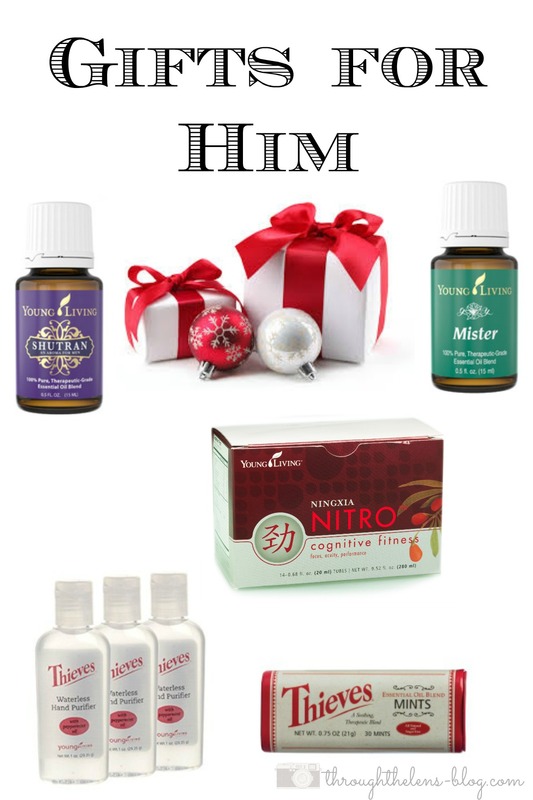 These gifts from Young Living are perfect for those people!! There is definitely something for everyone. I don’t know about you….but the men in my life are the hardest to buy for. I mean, come on, what do they really want? My men always say gift cards…but who wants to give a ton of those? These gifts are perfect for men. *Shutran- this smells heavenly!! It’s perfect for someone who likes wearing cologne. Except there is none of the yucky chemicals in it. Score! *Mister- is an overall good oil for men. *Ninxia Nitros- perfect for the person who loves working out…or working overtime at work. The perfect pick-me-up for the man in your life! *Thieves Sanitizers- these are great for someone who works in an office, or on a construction site. *Thieves mints- keep them healthy and their breath fresh. 😉 I’d say this is a perfect stocking stuffer. Ok, if you know me personally….and I’m on your list to get a gift for, anything from Young Living will do! 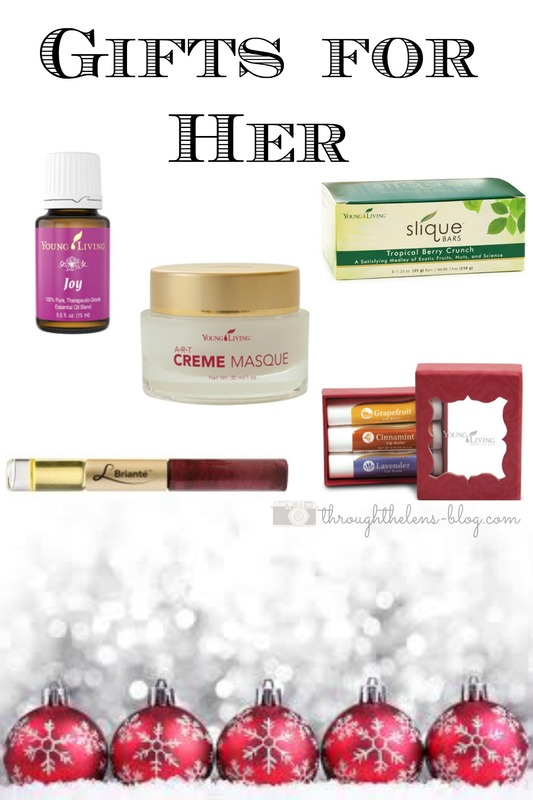 But these products are especially perfect for gift giving! *Slique bars- yummy, filling and so good for you! *JOY- any girl could use more joy in their life! And this scent is such a good perfume, too! *A-R-T Creme Masque- such a wonderful skin product. Any lady would love to get this! *Lip moisturizers- come on….you can never run out of these. Plus, being healthy and chemical free, they’re perfect! *L Briante Lip gloss- Lip gloss on one end, essential roll-on scent on the other. Perfume and lip gloss in one set? Yes please! *Lemon- perfect for flavoring your water. Anyone would love an extra bottle of lemon oil! 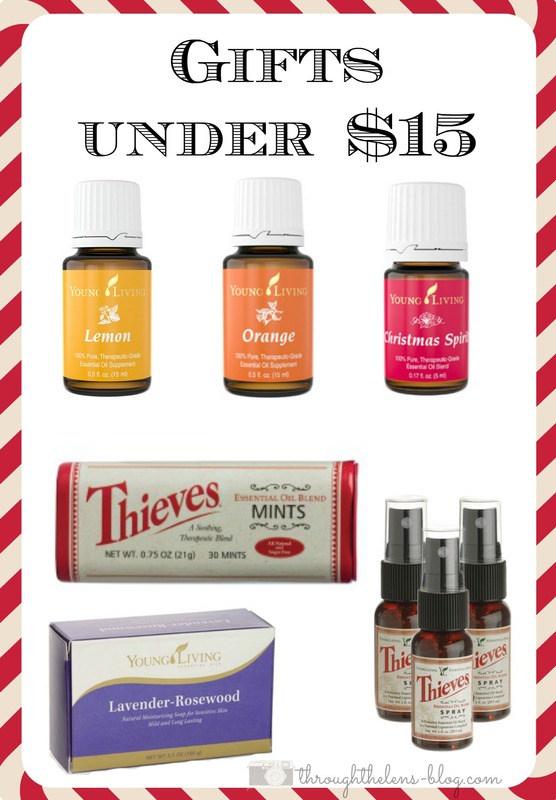 *Christmas Spirit- bring the smells of Christmas into your home without the chemicals! Plus, maybe it’ll get those grumpy scrooges in the mood for Christmas, too! *Orange- such a great oil to help keep you healthy this winter. *Lavender-Rosewood soap- such a lovely smell and helps keep you healthy this year! The best way to get these amazing products at a discounted rate is to sign up to be a member. 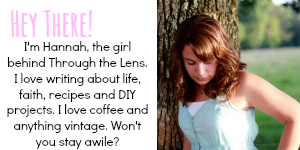 Just contact me to sign up- I’ll send you some gifts this month if you sign up with me! These statements have not been evaluated by the Food and Drug Administration. These products are not intended to diagnose, treat, or cure any disease. I’m not a medical professional, I’m just sharing my experiences. These are great ideas. I love gifting but often find it hard, like you said, especially for the men in my life. The Shutran looks delightful – I may have to check some of these out. Thank you! Yes- I am getting Shutran for my husband this year- quite delightful!! The oils are always a nice gift. What great ideas! Men are definitely the hardest but there are some great stocking stuffer ideas here for my hubbs. Thanks for sharing! Yes! I get SO annoyed with my husband/brother-in-law, both of who say “gift cards”. I feel like those are so impersonal!! Some great ideas. Thanks for sharing. Nice gift ideas. I always struggle to decide what to get the man! Great ideas – it’s so hard to find unique gifts, especially for men! Oils are definitely the trendy thing right now! Fun ideas! These all are cool gifts, and within budget. Great suggestions! Those all look like great products! I will have to look into that, thanks for sharing. Great ideas! I love the color of that lip gloss. That’s great- essential oils are such blessings! Great gift ideas! Thanks for sharing. All great gift ideas! Thanks for sharing at Think & Make Thursday! These are such great gift ideas so those into wholeness and wellness. My boyfriend probably would love the lotion. He is obsessed with keeping his skin soft because he complains its always dry! Thieves, thieves and more thieves! Best gift ever and it is good for everyone! Nice roundup.